Join us on September 27 at the EEC for back-to-back events to support Delaware Businesses – free to attend. What: NCC Open for Business..... multiple resources, in one place, at one time! A free program, and small-business resource for anyone starting a business or expanding their existing company. The focus at each Open for Business event is to provide existing and startup businesses with access to the organizations, agencies and resource partners who assist small businesses. The Goldman Sachs 10,000 Small Businesses Program drives business growth, increases job creation, and drives business owners to work on their business and not in their business. It is a 13 week course, spread over three months. Across the U.S., 10,000 Small Businesses graduates are increasing their revenues and creating new jobs in their communities: 60.9% reported creating new jobs, 81.9% reported an increase in revenue, 85% are doing business with each other and the program also has a 99% completion rate.When you gain acceptance into the program, you are provided a free scholarship from the Goldman Sachs Foundation! Attached is an overview of the GS10KSB program. The next Cohort 18 classes will start on January 17, 2019. The application dead-line is October 12, 2018. Start your application now to be ready to submit it after this information session. James W. Haile Jr., C.P.M. 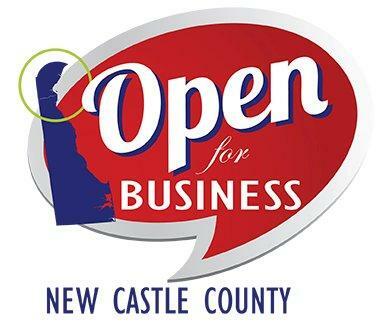 NCC Open for Business…..multiple resources, in one place, at one time! Join us on the fourth Thursday of each month from 9:00 am - 11:00 am for our Open for Business sessions held at 920 Justison Street and meet with representatives from our partner organizations. Collectively, these organizations provide a range of services that help start-ups advance their business model, reach potential customers, land government contracts, secure loans, meet state regulatory requirements and generally mentor entreprenuers striking out on their own for the first time. Join us for coffee and network with potential partners and suppliers.